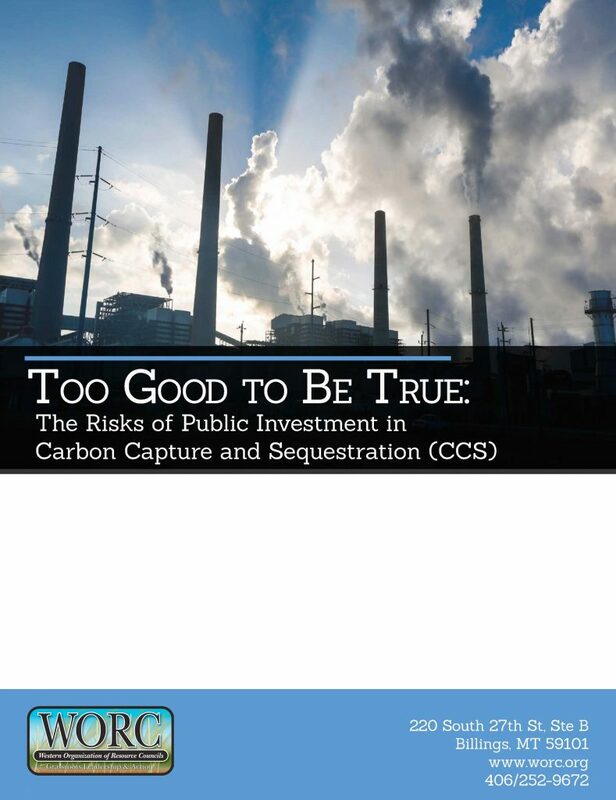 Too Good to be True: The Risks of Public Investment in Carbon Capture and Sequestration (CCS) reports that this technology is expensive, inefficient, dirty and unreliable; by contrast, renewable energy is cleaner, cheaper and faster to deploy. As the global effects of climate change become undeniable, both market actors and governments around the world are working to reduce greenhouse gas (GHG) emissions. State and federal politicians, the coal industry, and even some environmental organizations support Carbon Capture and Sequestration (CCS) technology as a strategy to continue to generate electricity with coal in a carbon-constrained future. The industry’s hope that coal can provide electricity while decreasing carbon emissions without drastically raising electricity costs and causing environmental damage is simply too good to be true. CCS technology faces both technological and economic obstacles that make public spending on CCS technology a poor investment of taxpayer dollars. From capture to transport to storage, CCS technology has proven itself to be expensive, inefficient, unreliable, and insecure, despite billions in public investment so far.